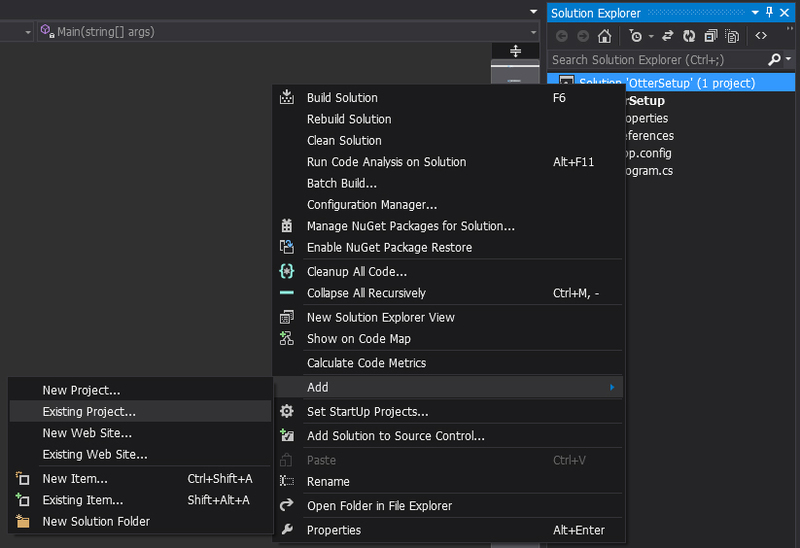 Otter can be used in almost any code editor that can compile C#, but personally I prefer to use Visual Studio on Windows. First you're going to need the latest version of Otter. The download includes all the source, and a .csproj file which will be the main way you'll be hooking it up to Visual Studio. 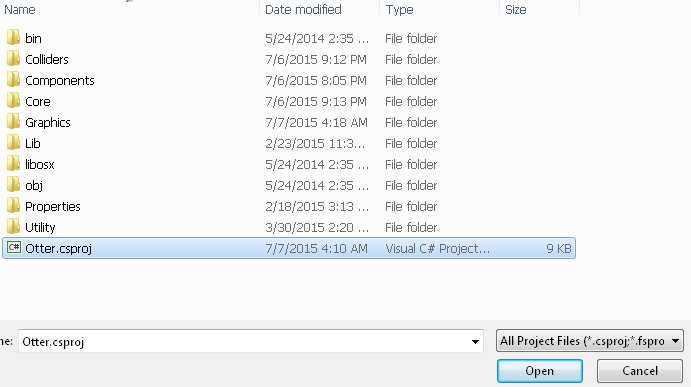 Next you want to open Visual Studio and create a new project. 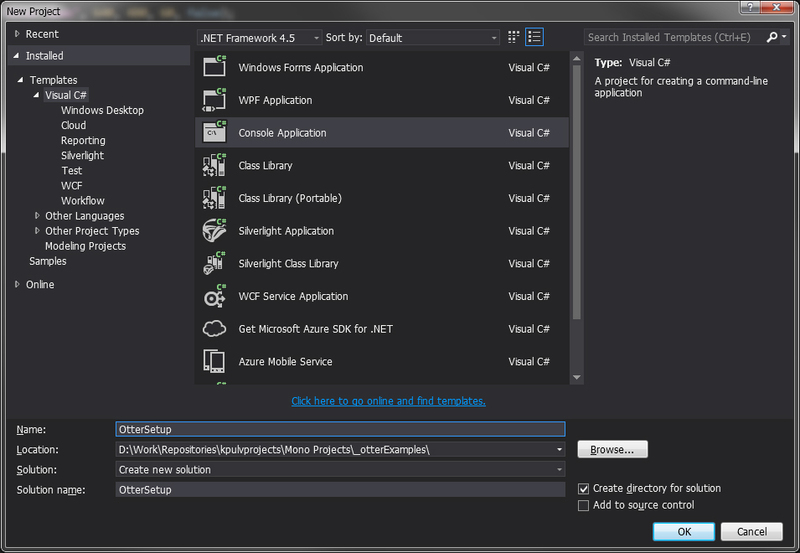 Select a Console Application (a Windows Application also works) in the Visual C# category. Find the Otter.csproj file that you just downloaded and select it and click Open. 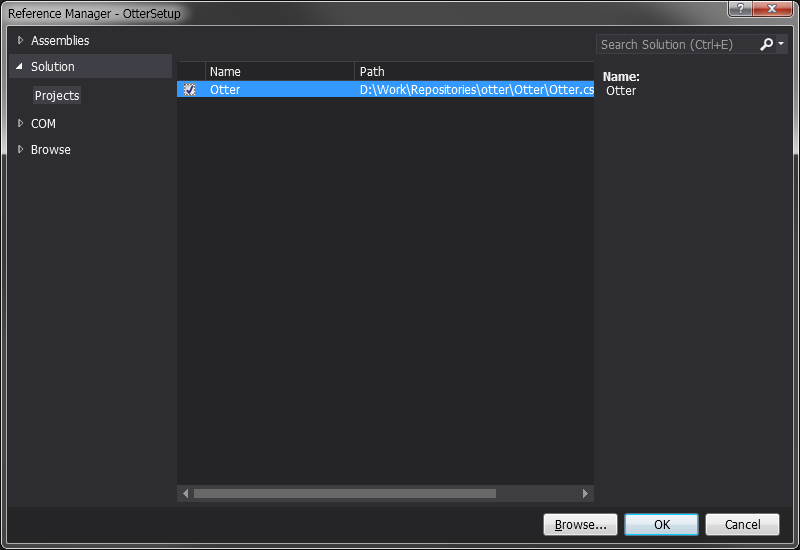 Your Solution Explorer should now have Otter in it. Almost done! In the Solution, Projects category you should see Otter. 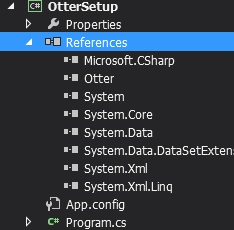 Check the box to the left of it, and then click OK.
You should now see Otter in the list of references in your project. Now you can access Otter in your game project! Check out the Basic Game Window example for the next step of your journey.